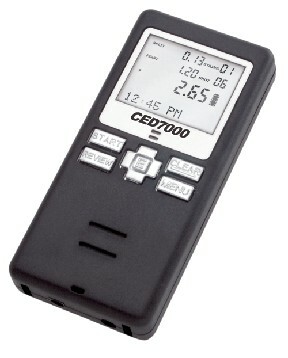 The CED7000 Shot-Activated Timer is truly a breakthrough in technology. 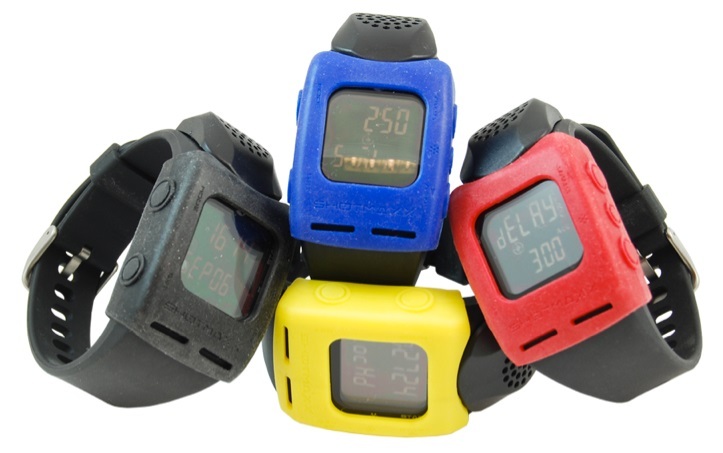 No other timer to date offers this combinations of advanced features, compact size and lightweight. The RF version allows use of the Big Board Display, #C1401 $290 (see below). Super loud Start beep over 110 dB, the loudest in the industry! Here are some of the wide range of accessories that will ensure you have what you need to make your new CED7000 the perfect timer for you. 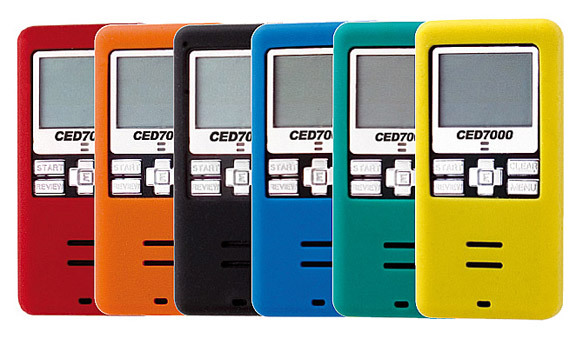 Protect and personalize your CED7000 Shot Timer with custom made Silicone Skins in a wide array of bright colors. Designed with dual direction belt strap, detachable key ring, and carabineer, the CED7000 Carry Case can be worn on the belt, attached to a belt loop, or quickly snapped onto any item. 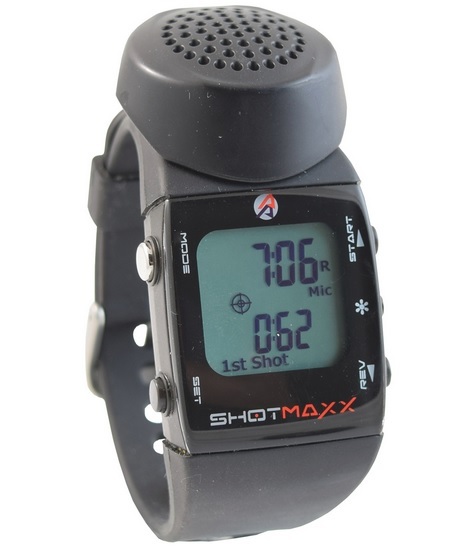 Allows the timer to be rotated upwards for comfortable viewing of the LCD display, and to be laid flat against the body when shooting or timing other shooters. The External Battery Pack provides additional power to your CED7000 for up to 25 hours of normal use, while charging the internal battery at the same time. 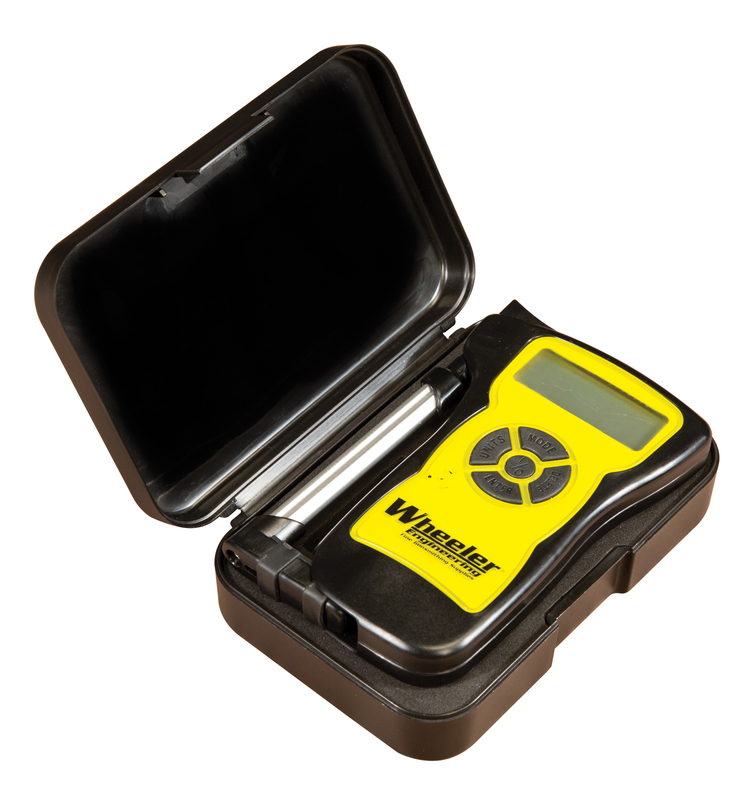 The battery pack holds 2 Alkaline “AAA” batteries available in most places. Three years of market feedback, and considerable investment in research and design, result in a product which takes the SHOTMAXX a huge leap forward - to the new SHOTMAXX-2! The battery capacity has been more than doubled, now offering enough battery life for several days of continuous use on the range. The battery readout system has been upgraded too, and shows a true and accurate battery level, based on real voltage measurements, and not a usage calculation. Additional beep level and frequency options give you more control over the sound your timer makes when activated. 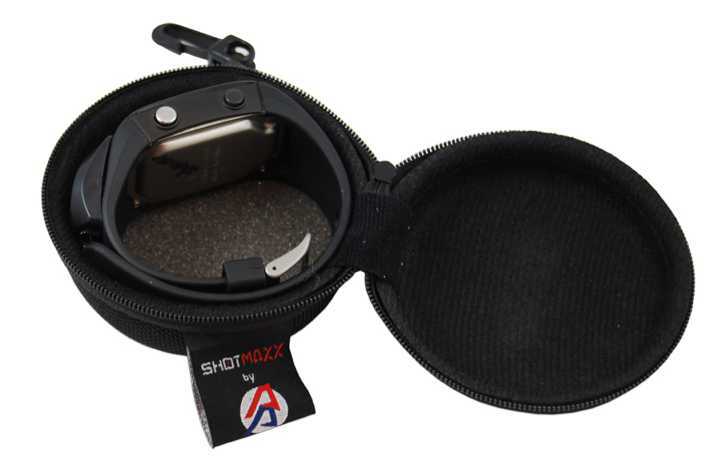 Shoot on a busy range while wearing the SHOTMAXX-2 running in Accelerometer mode, and you will be able to pick up your shots ONLY. Other shots fired close by will not be recorded! The Spy mode feature is retained, giving the option to activate the Timer off your first hand motion at the start of a stage, and record all your split times as you shoot through. You can even set delays to compensate for your reaction time to the RO’s beep. There is, though, one feature which has been removed from the SHOTMAXX-2, and that is the Bluetooth capability. We decided not to include it in this model, as it was not a widely used feature, and freeing up the BT components space allowed additional memory and other improvements. Available in red, blue or yellow. Protect and personalize your timer that fits snugly but allows access to all the buttons and functions and shows all the functions clearly. Comes with one skin and 2 PET screen protectors. Also has an available case! 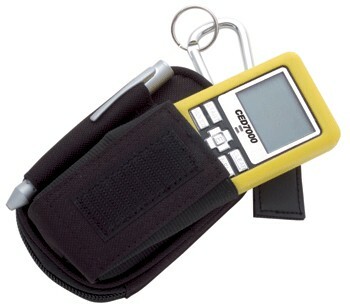 For easy carry and protection of the CED Chronograph systems and accessories. Includes quick release padded shoulder strap and adjustable carry straps for attaching a tripod. 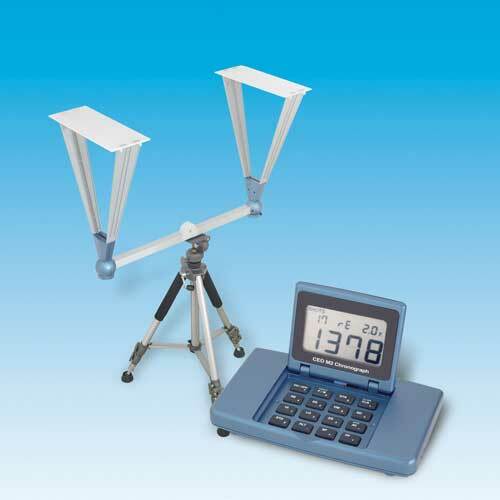 19"L x 7"H x 6"D.
With incredible accuracy, the Patented Infrared Screen Set eliminates the need for sunlight when using the CED M2 or the original CED Millennium Chronograph systems, and gives you the freedom to record velocities under any lighting condition, or if you choose, no light at all! 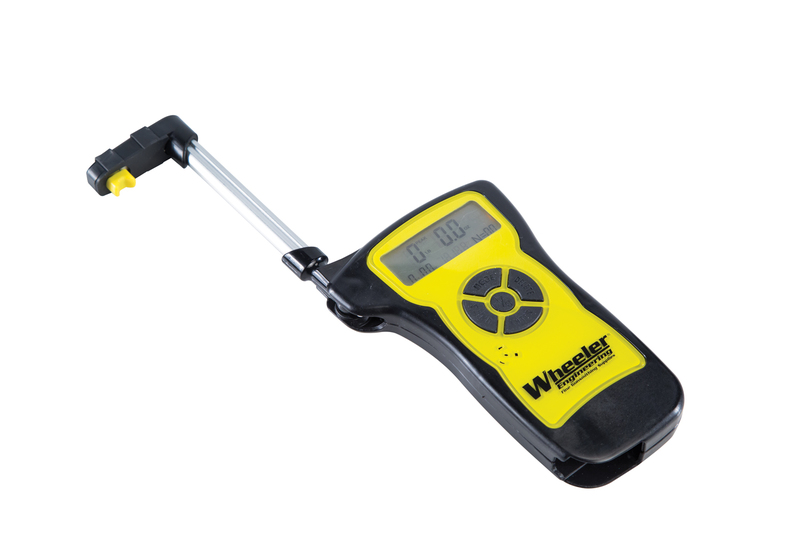 Connects to the standard sensors that come with both systems, and uses its own AC power source or optional NiMH battery pack. The Infrared Screen Set includes Infrared Screens, side-arms, AC Adapter, and instructions. If you would like to measure velocities indoors or set up in summer shade where 110 power is not available, the CED M2 is the chronograph for you. With the optional NiMH battery a power outlet is no longer needed! And unlike "visible" light systems, the IR emitted from the new CED IR set is not visible to the human eye so it will not alter the user's site picture when shooting indoors. If you have ever used a 40 watt light at home or in your garage, then you know incandescent light bulbs cannot take much abuse and always seem to "pop" at the most inopportune time. The solid state design of the CED Infrared Screen set means it can take normal set up and tear down in the field. You will never need to look for a strange shaped refrigerator light bulb again! The new M2 Sensor is 40% more light sensitive. This allows recoding of velocities in lower light conditions that the original Millennium Sensor. Packaged individually, each sensor comes with 20 ft. shielded cable attached. The M2 Sensor is designed specifically for the CED M2 Chronograph system, but will function with the original CED Millennium Chronograph. It is IMPORTANT to note that the original sensor and the new M2 sensor should NOT be mixed in use. Both MUST be paired with the same type. Custom designed for use with the CED Millennium and M2 Chronographs, this table mounting plate is made of heavy metal construction that provides a strong stable base for positioning the Chronograph mounting bracket and screens on any flat surface. Ideal for use when a tripod is not practical. The Table Mounting Plate weighs 4.4lbs. (2.0kgs) and measures 12" x 8.75" and sits 1" high off the table. It is made of steel, with steel feet and steel screw settings. A VERY solid construction. I have to tell you, this is THE best trigger pull gauge I have seen in 40 years. Played with it a bit when it came in. Amazed me at what it does and how easy it is to use. Over the years I have seen a number of systems for dry fire practice at home. I have always promoted dry firing as a method of building mechanical motor skills that help us shoot at the subconscious level which leaves the conscious mind to find the target, put the sights on it and make the appropriate hit. I found this line of product at SHOT this year and feel it is the answer to elevating the ability to learn from dry firing to a new level. The SureStrikeTM 9mm Luger cartridge is placed into the chamber. By squeezing the trigger, the impact of the firing pin activates the SureStrikeTM to emit an eye-safe laser pulse, a shot of red light, which simulates the point of impact where a bullet fired from the firearm would have struck. Using one of these leaves 5 empty chambers in a 6 round cylinder, five more will be needed if you wish to have continuous dry fire sessions. Look at having some 9mm cartridges and convert them or use a .38/.357 back cap. 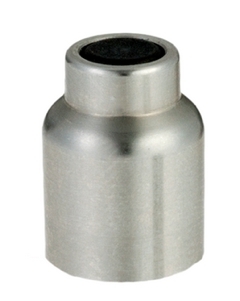 Add this to a 9mm cartridge and your .44 revolver is converted. The TA/DB (Dual Function) back cap protects your firing pin as a snap cap and is a combination between the Digital Bore Sight cap and the Target Activator cap. The Target Activator cap is used to enhance dry fire practice with point of impact recognition / feedback. The Digital Bore Sight cap is used to convert the SureStrikeTM into a digitally controlled bore sight activated by trigger pull. This back cap offers you two functions in one cap. All caps are guaranteed for 5,000 shots minimum. The Dual Function back cap can be used to replace any cap on all SureStrike™ 9mm cartridges and can be used with all available caliber adapters. 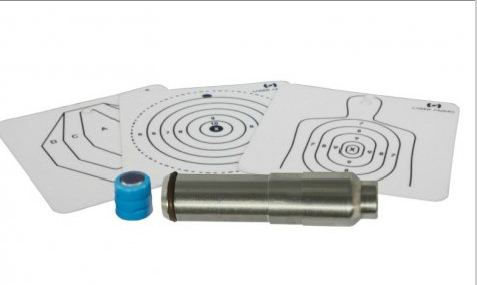 Improve your shooting skills with the LaserPET Electronic target Combined with any SureStrikeTM Laser Cartridge! The LaserPET personal electronic target improves shooting skills such as drawing, target acquisition and trigger squeeze while building a solid foundation for accuracy. 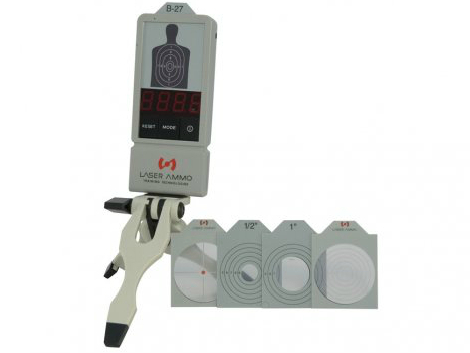 LaserPETTM can be combined with any of our SureStrikeTM laser training cartridges for immediate audio, visual and numeric feedback with multiple training options. Speed shooting - this mode will time the shooter as if they were changing a magazine and subsequently count how many times the shooter can hit the target within 5 seconds. SureStrikeTM 9mm cartridge not included. 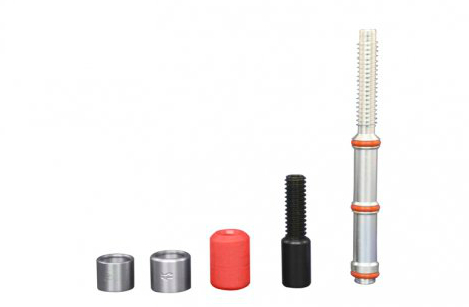 Laser Ammo has developed 12 gauge shotgun capsule adaptor. The 9mm Luger SureStrikeTM laser cartridge is fitted into the detachable capsule front end, which is screwed shut with the end cap. The capsule is then inserted into the chamber of a shotgun. This feature is especially convenient for police officers, who can use the same laser bullet to train with both their service pistol and shotgun. The Shotgun adapter must be used with a 9mm Luger Laser Cartridge. 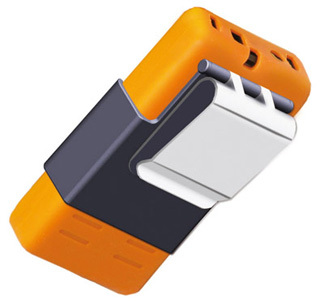 The cartridge must be purchased separately, it is not included with the adapter. Important: you do not need to use a safety pipe and nut with a shotgun adapter. 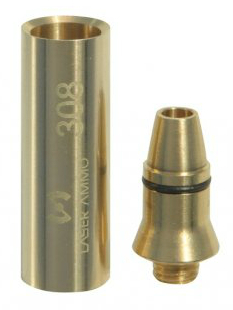 Converts the standard 9mm Luger SureStrikeTM into a .308 Win. cartridge. 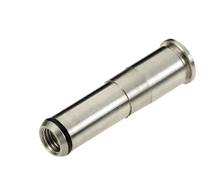 The SureStrikeTM cartridge threads into the two piece adapter sleeve ensuring accuracy and eliminating the possibility of the adapter being left in the chaimber. No tools needed. 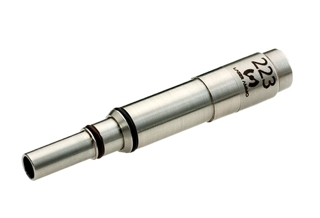 The SureStrikeTM 223 for AR-15 cartridge allows you to train with your favortie rifle at home. By pulling the trigger the impact of the firing pin activates the SureStrike™ to emit an eye safe laser pulse, a shot of red light, which simulates the point of impact where a bullet fired from the weapon would have struck. Hang the included reflective targets up across a room, take aim, and pull the trigger. When you dry fire the SureStrikeTM emits an eye safe shot of red laser light. You get instant visual feedback of shot placement. This immediate feedback from the SureStrikeTM transforms regular plain dry fire into a powerful learning experience. 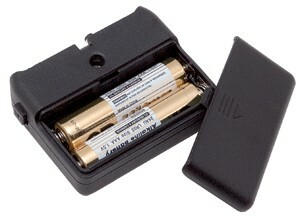 This battery pack is suitable for use with all of Laser Ammo products that require a battery. Important: do not remove the shrink wrap from the batteries. "Got my Laser Ammo PET target today. Thanks for the quick turnaround. If people ask, the laser ammo system works amazing and will improve scores for new shooters. I have been shooting IPSC 1 year and shooting for the first time 2 years ago. I'm placing top 10-15 all the time now. Cheers!" "Murray, if I can only shoot as fast as your service…"
Hi Murray, received package today and I must say the items ordered far exceeded my expectations for quality and craftsmanship. Thanks again for sharing your knowledge and helping me get started in the sport, pick up my new Shadow tommorow then off to the range, can't wait!!! Looking forward to meeting you some day.